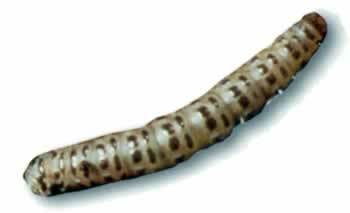 Sod Webworm | Massey Services, Inc.
(Length: 1/2″ – 3/4″) Larvae are greenish with many black spots. Adults are dingy brown moths with a wingspan of about 3/4″. The larvae feed on grass blades and noticeable injury appears within two weeks. Webworms feed primarily at night and remain in a curled position near the soil surface during the day. They complete their life cycle in 5-6 weeks and have several generations each year.